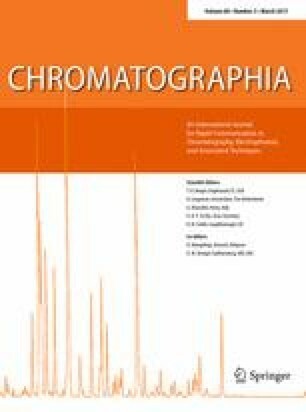 A new molecularly imprinted polymer (MIP) was prepared for trace analysis of hexythiazox (HTZ) in food samples. In this research, HTZ was used as a template molecule. The MIP was synthesized using pyrrole as a functional monomer. The parameters that affect the efficiency of the method were thoroughly investigated. These parameters were desorption solvent, amount of sorbent, pH and ionic strength. The measurements were done under the optimal conditions. The limit of detection and limit of quantification of method were 71 and 236 ng g−1, respectively. The relative standard deviation (RSD %) of standard solutions of 1000 and 2000 µg L−1 were 0.08 and 0.51%, respectively. The linear range was determined as 100–2000 µg L−1. Application of the method was examined to separation and preconcentration of HTZ in some food samples, with success.